There is some site on the internet which you always open whenever you do surfing. So, you can’t focus on your work you want to do. Or being parent or guardian, you don’t want your child to surf any adult website. Today we are here to help you to stay focused on the web. There is a lot of methods which can help you to stay focus. In this tutorial, we will tell you about some add-on that can help you stay focused when using the web and doing your work. Everyone will agree with that when on the web we always access Facebook, Tweeter, and many other sites like that. 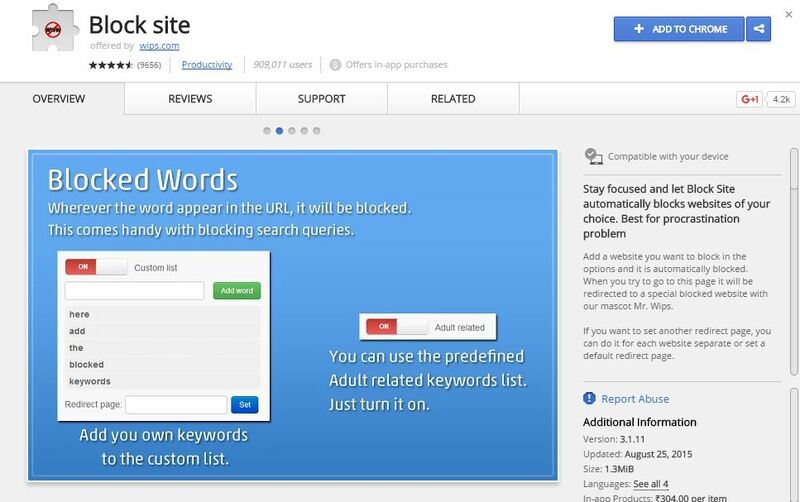 With the help of these tools,you can block sites of our interest, just within your browsers. This add-on is available for both Google Chrome and Mozilla Firefox users. 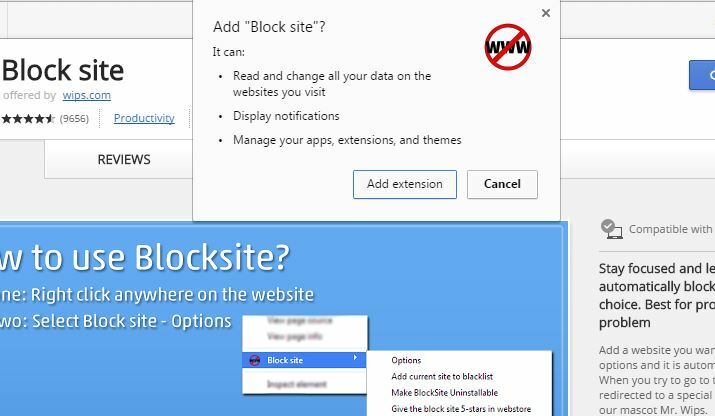 Now let’s take a look at the add-ons which can help you to block sites. Step 1:- Install the Block Site Add-on on your chrome browser. Click on the “Add to Chrome” and a pop-up will appear; now click on “Add Extention”. Step 2:- After the completion of the installation process we can block any site you want. To do so you have to open the site you want to block. For example, you want to block facebook. Now right click on anywhere on the page and you can see the “Block site” option take your mouse pointer on that and click on the “Add current site to Blacklist”. After clicking on the option that will block. Now no one access that site. Whenever you enter the blocked URL, you see some interesting and funny messages. One of them below. OR You can set it to be redirected to another web page in Preferences. 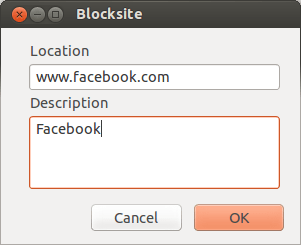 Step 3:– To remove the block site from the blacklist, right click and got to “Block Site > option ” and a new tab will open. This is the same add-on available for Mozilla Firefox also. Now let’s take a look how it works. Step 1:- Open Mozilla Firefox and install the Block Site add-on. 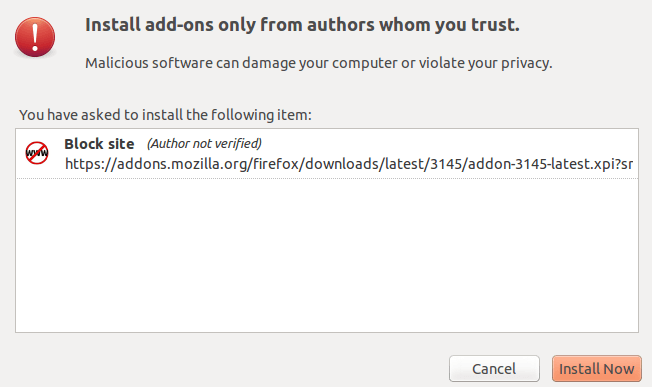 Step 2:- Now click on add to Firefox and a popup will appear now click on the “Install now”. Step 3:- Restart the Firefox and a confirmation message will appear, click on the “Agree and continue” message now you this add-on ready to block any site. 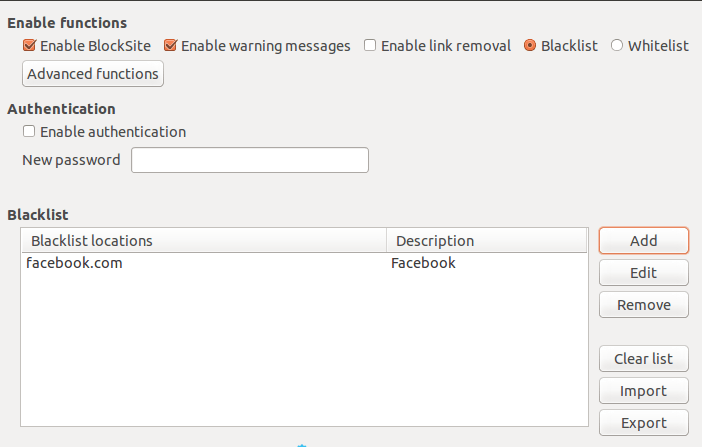 Step 4:- To block any site you have to add the site to the black site list. To “add Select Tools > Add-ons (On the Menu bar)” click “Preferences” below Block sites Add-on Select Blacklist from the top, the click Add to add a site. 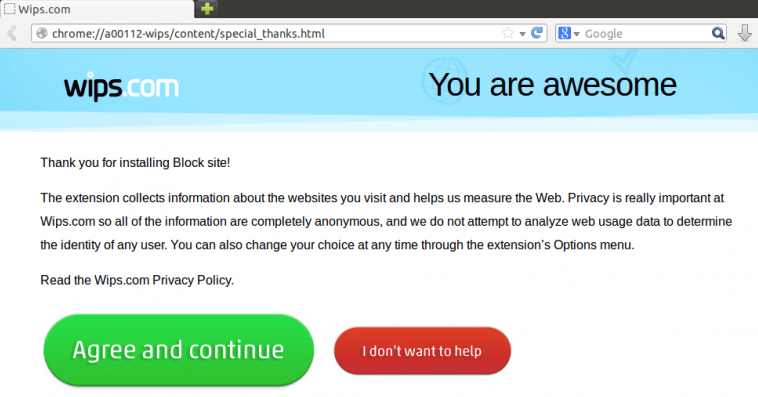 Click on Ok, now your site will block for further changes. Step 5:- Now whenever anyone try to open the block site a notification will appear like this. Step 6:- If you want to remove your block site the repeat the step 4 and this time click on site and after that click on the remove option. So, now you can access that site without any problem. These are the best Add-ons to block any site, there are more like them but we highly recommend you to use them. You can share this article with your friends so they will also know about these add-ons and block any site they want. If you are using any other method to block site them please share with us through comment section we will love to add them.